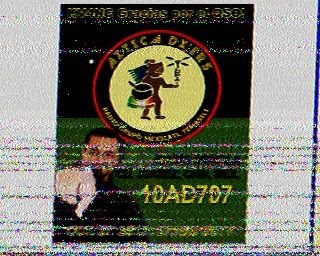 Metro Radio International: 6950.2 kHz, 2204 UTC+ I got a heads up from DJ Formaldehyde that they are now on the air. Unfortunately for me, the signal is really weak at my location and I'm pretty much just getting the carrier (too weak for audio). Too bad; MRI is a fun station with an interesting selection of electronica, industrial, new wave, and punk music. Oh, and their QSLs (both eQSLs and hardcopies) are nice, too. Satan Radio: 6925 kHz USB, 2217+ UTC Heavy metal music. I just tuned in & hit the recorder. (2220 UTC) Ugh, the operator decided to make it difficult and the entire first announcement is backwards. At least I'm recording it... (2223 UTC) Wonder if it's Satan Radio, which has been on the past few Halloweens? (2226 UTC) Very clear Satan Radio IDs. Nice to finally hear this one for the first time. 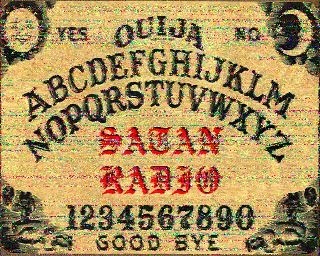 Ouija board SSTV logo at sign off. Pioneer Radio (Europe): 6747 kHz, 2240+ Carrier is present, but audio is too weak to make it here. WAHR (Automated Halloween Radio): 6925 kHz USB, 2246 UTC+ In contrast to Satan Radio, WAHR appears on the same frequency a few minutes later with old novelty Halloween music. By old, I mean pre-rock'n'roll for at least the first couple of songs. Signal is weak but clear here. Unidentified: 6935 kHz USB, 2255+ Big signal with lots of spooky sounds, and ethereal and backwards music. I just checked the webreceiver in Bedford, UK, and it's audible there. So, any readers in the UK or Ireland should have a good chance of hearing this. 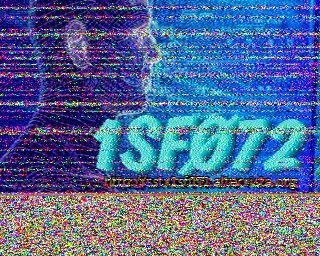 Station is now transmitting data, but not SSTV. I'm sure someone out there will know how to decode it. 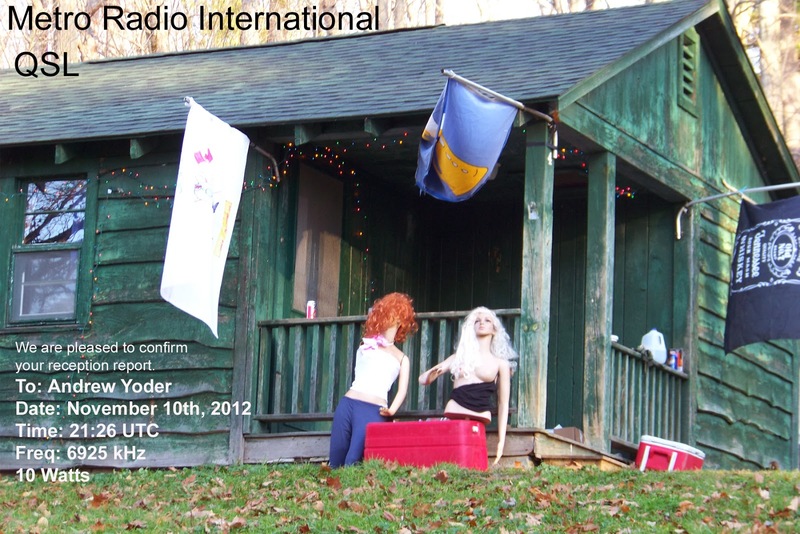 Witch City Radio: 6920 kHz, 2315+ Announcing witchcityradio /a/ gmail.com and also the Belfast, NY maildrop. Cackling witch sound effects, a Halloween story, Alice Cooper "Welcome to My Nightmare." Good signal, station goes back to the '90s. Northwoods Radio: 6925 kHz USB, 2338+ Playing heavy metal "Victim of the Night" etc. Northwoods Radio sometimes operates in the morning hours with Native American music. This is a very different sound. Excellent signal here. Renegade Radio: 6925 kHz USB, 0018+ Early Black Sabbath into, into more heavy metal, including a few Iron Maiden songs ("Number of the Beast" etc.). Excellent signal & audio. Went through the long list of listeners on HFU with plenty of shoutouts to everyone, talk about the SWR of the antenna not being optimal, etc. 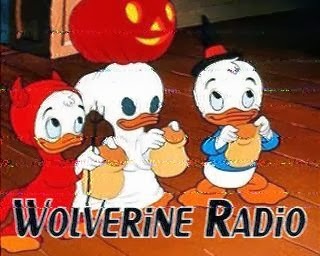 Wolverine Radio: 6945 kHz USB, 0106+ "Flesh and Blood" Really big signal here, I'm thinking it might be Wolverine Radio (0113 UTC) Yup, Wolverine ID and all Halloween music. Wolverine's signal is typically very strong and it is currently being heard in the Ukraine with a good signal. It's a great station for new pirate listeners to tune in. 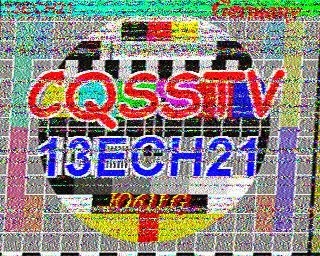 Two nice, clear SSTV images at the conclusion of the show. 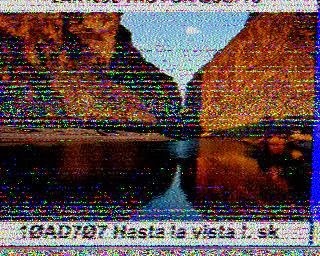 X-FM: 6870 kHz, 0220 UTC. Nice signal with requests Redhat playing requests from listeners. This is a great station for SDR listeners to tune in because X-FM is in C-Quam stereo, which can be decoded on some SDRs. Playing Halloween music, such as "Thriller"
Eccentric Shortwave: 6945 kHz USB, 0230 (approx.) Weak signal, ID per HF Underground. I recorded this & hope to pull some details out of the recording tomorrow. It's been about two years since I've heard Eccentric Shortwave, which often broadcasts very late at night, so it's nice to have heard him again. Witch City Radio (tentative): 6920, 0243+ I think this is Witch City back again on the frequency, but I'm not sure. The signal is pretty weak. Ah, I think I'm hearing Alice Cooper "Welcome to My Nightmare," so it probably is them. Liquid Radio (tentative): 6935 kHz, 0258+ This was tentatively logged on HF Underground as Liquid Radio and it does sound like them. House/dance music running for a long time and I haven't heard any IDs yet. The signal is starting to get stronger here...I've past it a few times on the dial so far this evening. 0315 UTC: It appears that the pirates-all-over-the-bands phenomenon has subsided and everyone has signed off for the time being, except for Liquid Radio, which is still churning away on 6935. They've moved away from their standard format momentarily to play Michael Jackson "Thriller." 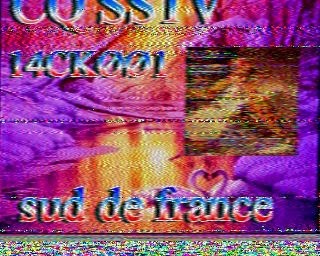 A few minutes ago, I also heard an SSTV signal on 6945 kHz, but it was too weak to copy. My big question of the night is whether the annual Yukon Jack Halloween show will appear on shortwave again this year. Puzzle Radio (tentative): 6932CW, 0415 UTC. OK, this is my last log of the night, I believe. Puzzle Radio has been off and on here all night with IDs and Halloween words or phrases in Morse Code. Also, the transmitter is said to be drifty. My Morse Code decoding skills are negligible at best, but I'm hearing a drifty station in Morse Code right now on 6932 kHz (approx.). I can always try to decode some of this tomorrow, but I thought I'd give a heads up to anyone reading this tonight. 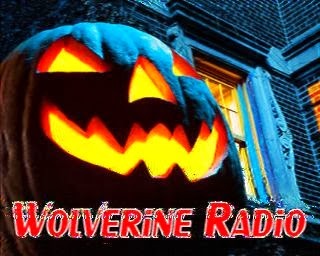 Finally, it's been a great Halloween evening of broadcasting and listening! Thanks to all of the stations that put programs on the air for the enjoyment of shortwave listeners. It was a lot of fun tonight! Today is officially Halloween (both locally and in UTC). After reading the Slate article on the myth of the War of the Worlds broadcast, I thought that I'd write more about it and some of my impressions. However, SWLing.com has an excellent feature on the 75th anniversary of Orson Welles' grand entrance into mainstream fame and the American media textbooks. As mentioned in this article, Welles' War of the Worlds broadcast has gone down as one of the greatest media hoaxes ever, fooling the simple townsfolk of New Jersey into pulling out their torches and pitchforks to confront these potential destroyers of the American way. This event has been rehashed countless times, often with a nostalgic but superior air: "Oh, those kind, innocent people. They were good to each other back in those days. We might have lost our innocence but we are oh so media savvy now that we would never fall for anything of this nature." "We're here from the future to prevent Jersey Shore"
But as the Slate article maintains, the people of 1938 didn't fall for this hoax, either. I have looked for information in the past on the War of the Worlds broadcast for a potential article, but it always results in dead ends. The problem isn't the number of published articles, it's the type of article. The main Associated Press article was published throughout the country the day after the broadcast. A few days later, you can find biographical articles about Orson Welles and those on a public outcry to the FCC and the resulting investigation. What I haven't found are local articles about how the local townspeople massed at the National Guard building and divided up arms among the civilian defense patrol or that a few people tried to rob the local gun store or that even poor widow Harriet Schlogman had a heart attack and died while listening to the broadcast. Nothing. Perhaps those articles are out there and if so, I'd love to find them. But I don't think they exist and that's why I don't need much convincing to believe the authors of the Slate article. As for the public outcry, well, it had been front-page news for a few days. It was spectacular reading and people back then did write letters. I don't have specific examples on hand, but popular radio personalities received literally multiple postal bags of mail. 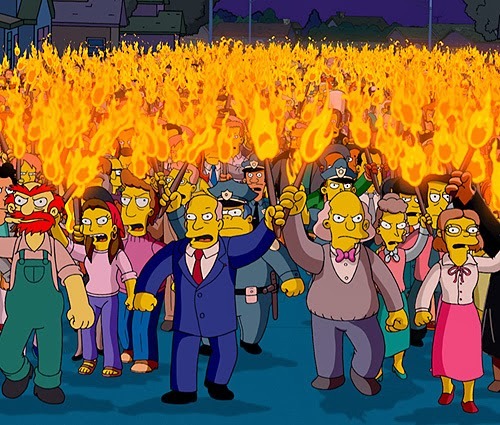 It's not out of the question that people would write letters expressing their outrage to the FCC after the had been reading that mayhem had been occurring around the country...not in their town, of course, but most everywhere else far away. Prior to the dense radio propaganda surrounding World War II, The War of the Worlds undoubtedly made radio listeners, from that point forward, seriously question what they were hearing over the air. It forced them to listen with a skeptical ear, to realize that no matter how “real” a report might sound, not to assume its authenticity just because it was broadcast on the radio––or, for that matter, printed on the page of a newspaper. This was to become an invaluable tool in the coming days of American involvement in the war, especially for GIs desperate for news from the home front while propaganda seized the media. Whether during Welles’ thrilling production or in the news frenzy that followed, radio’s power had been publicly highlighted, and that power was sure to have an enormous impact on the coming world war. But this knowledge was not spread everywhere. Ironically, the Orson Welles' broadcast of the War of the Worlds was known for causing chaos and striking fear into the hearts of multitudes. We now have reason to believe that this wasn't the case...and that the few people who tuned checked out a radio play and nothing more. However, more than a decade later, on February 13, 1949, the residents of Quito, Ecuador, knew nothing of H. G. Wells or Orson Welles. It also raises some doubts as to whether the staff of Radio Quito understood the power of the radio medium. During one of the station's musical programs, an announcer broke in with an "urgent piece of news." Then followed bulletins of the enemy approaching the city in the shape of a cloud, slaying residents and wiping out towns, Actors impersonating a government minister and the mayor begged the populace to be calm and for the men to fight. The newspaper article does not mention any radio station disclaimers that this was just a radio play. This is a problem. At the climax of the show, hysterical crowds poured into the streets. But the staff personnel discovered that they had set off a frenzy and decided to allay the fears of their listeners by announcing that it was just a fictional story, told in fun. The fun-loving people responded by attacking and burning the building of the newspaper El Comercio, which housed the radio station. According to the report, only the front of the three-story building was left standing. Evidently, the crowd might have been controlled sooner, but the many of the on-duty police officers had been sent to quell the alien invasion in the countryside. In the end, 15 people were killed and at least 15 others were reported to have been injured. The riot was finally ended by army troops, which used tanks and tear gas to disperse the mob. 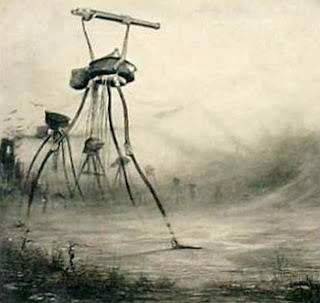 And this is the story of the successful (or wildly unsuccessful, depending on your perspective) War of the Worlds hoax. Note: I assume that this is the same Radio Quito that has been on 4920 kHz (approximately) for decades. Newspapers very rarely cite the specific names of foreign radio stations and I was surprised to see it called out by name here. I used the AP article from 2/14/49 for reference. I saw another site list the mortality rate at 6, but this article contained far less information. Radio Casablanca: 6940 kHz, 2301-2357* Nice signal, but starting to get rough. Loads of '30s & '40s music with great audio. If I hadn't been eating supper through most of this broadcast, I'd've fired up a '30s radio to get the proper feeling. 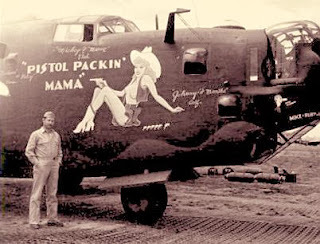 Music included Bing Crosby & the Andrews Sisters "Pistol Packin' Mama." Audio went mid-song, carrier went off about 30 seconds later. WPOD: 6925 kHz USB, 0053+ Really weak here, but I just heard a female electronic ID. Some music is rumbling down under the noise, too. 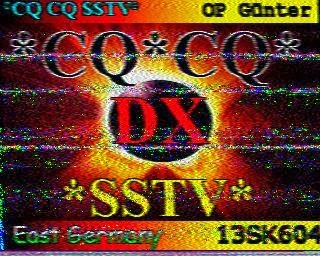 The Late Show: 6925 kHz USB, 0131+ Another really weak station, this one is basically faint. But some clear peaks are fading in from time to time. Just heard some slow, crooner music. I've been trying to hear this one well enough to write for a QSL for a couple of months. I seem to either miss the broadcasts or it's really weak, like tonight. 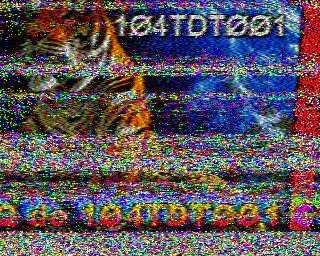 Unidentified: 6925 kHz USB, 0300-0323* Yet another really weak station. Not sure if this was The Late Show back with some more programming or if it was someone else. Maybe I'll check the recording tomorrow. Twangy Radio: 6925 kHz USB, after 0000 UTC. A number of prerecorded Twangy Radio IDs (completely with "springy" sound effects) were aired over the course of an hour or so. This short ID was aired maybe something like eight times over the course of an hour. Excellent signal. My New Underpants: 6913.2 kHz, 2210-2218* Nice signal with spacey instrumental music + another synthesizer-based instrumental song that sounded more noisy (kind of like a no-wave version of spacey music). "My New Underpants" repeated at various times with delay. The announcer also repeated a poem about how white and tight they are. Evidently this station QSLs via the Belfast, NY, maildrop. I stopped at the mailbox today and found a packet with a thick, cardboard pennant from WMMR, Mysterious Mystic Radio. I enjoy pirate radio listening, period. Stations don't need to verify reports with eQSLs or ever respond to me to make me happy. A couple of good examples of this are the Voice of Communism and Radio 6X. The Voice of Communism was one of my memorable listening experiences. Still, to this day, one of the best and best-produced parodies that I'd ever heard. Radio 6X was a fun rockabilly station that would pop up on frequencies off the beaten path about 6-8 years ago. They reminded me of what a late-night rock'n'roll station from 1962 would sound like. Neither station QSLed, but I really enjoyed their time spent on the air. That said, I do collect QSLs and I enjoy looking through QSL albums (both mine and those that other people have). I also have a binder full of pennants, most received from licensed shortwave broadcasters. I spent so much time listening to and QSLing pirates that I missed out on a lot of the great pennants that were offered back in the '80s and, to a lesser extent, in the '90s. Instead, I mostly have pennants from the large, national outlets (Radio Canada, Deutsche Welle, Radio Peking, etc. ), a few from the latter days of the Latin American QSLing days (Radio Santa Cruz, TGNA, etc. ), a few pirate pennants (WSKY, KNBS, etc. ), and a pile of paperboard pennants from the Winter SWL Festival. So, I think it's awesome to pull open an envelope in the waning days of 2013 and find a two-sided pennant from a shortwave pirate. The station op said "the 'pennant' is sorta like the ones that the REAL shortwave broadcasters used to send listeners, except of course that theirs were well-made and professional looking, and mine looks like 'a blind four year old made it at nursery school.'" In an era when the major shortwave stations don't find me or the rest of their shortwave audience worth broadcasting to, I find a handmade pennant from a station that plays music from Edison cylinders and 78s to be refreshing. Captain Morgan Shortwave: 6924.2 kHz, 0115. Good in QRM here. Michael Jackson "Thriller" & "Twilight Zone" theme. Halloween SFX, with screaming, crying, creaking doors, etc. Radio Echo 1: 6929.2 kHz, 0123 UTC. Nice sig here, fading, with electronic & produced IDs and a variety of music. Red Mercury Labs: 6935 kHz USB, 0220+. Tuned in to hear "Walk on the Wild Side" and a more subdued than usual sign-off announcement. Evidently, the end of a Lou Reed tribute show. Fair signal. 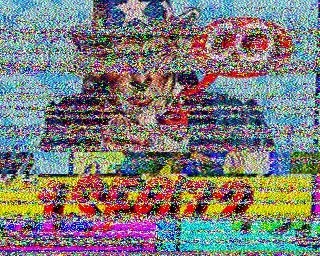 Unidentified: 6925 kHz USB, 2226 UTC. Tuned in during Van Halen "And the Cradle Will Rock" Off for a bit, then same station (?) back with a weaker signal. According to the QRZ11.com database, Agostino transmits from Milan with a few different Kenwood transceivers and has been active for nearly 30 years. 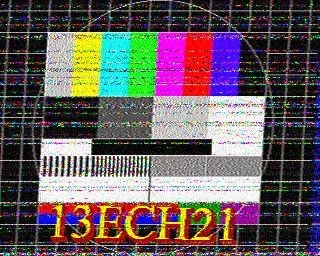 I couldn't find much on 13ECH21, but I like the TV test patterns. 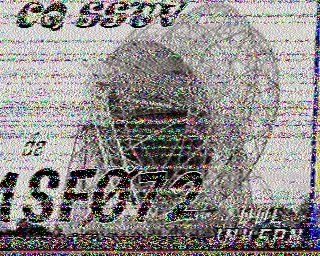 I also couldn't find much on Gunter, but I received a few SSTV images from him over the weekend. Tons of blogs are floating around on the web and this is just another. But I haven't updated my website in quite a while (barely at all since the '90s), so I thought that maybe starting a blog would start me back on the trail to regular updates. This is primarily a shortwave radio and hobby broadcasting blog and I plan to include lots of radio-related information and experiences of various sorts. However, I'm also planning to include other oddities that I come across.